A planned pipeline gives Russia a new market outside the increasingly frosty EU. For oil major PetroChina this should staunch losses from low regulated prices at home. China gets cheap supply, but at a cost: the optics of the deal shred Beijing’s claims of political neutrality. 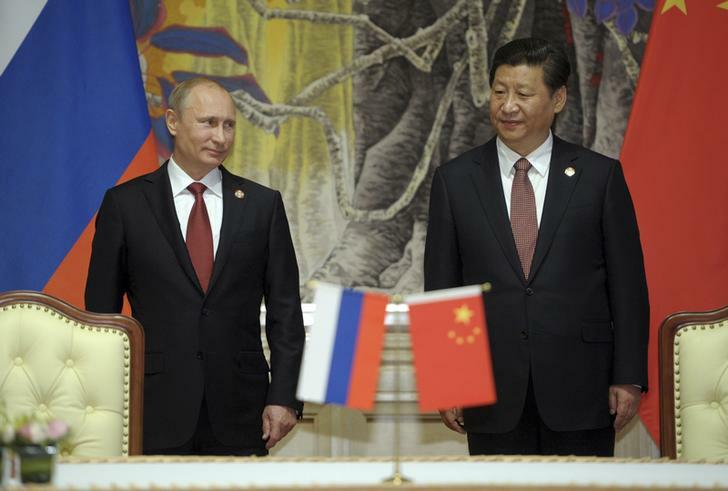 Russia's President Vladimir Putin (L) and China's President Xi Jinping attend a signing ceremony in Shanghai May 21, 2014. Russia’s state-controlled Gazprom signed an agreement with China’s state-owned China National Petroleum Corporation (CNPC) on May 21 to supply gas to China through a new eastern route pipeline. CNPC said that gas supply would begin in 2018 with a 30 year contract, gradually rising to 38 billion cubic metres of gas per year. There were no specific details on the price of gas under the deal, but Reuters reported Russian President Vladimir Putin said it would be tied to the price of oil and petroleum products. Putin said China would give $20 billion for infrastructure and gas development under the deal, while Russia would invest $55 billion in gas exploration and pipeline construction to China. “Through mutual compromise we managed to reach not only acceptable, but rather satisfactory, terms on this contract for both sides. Both sides were in the end pleased by the compromise reached on price and other terms,” Putin said. CNPC is the parent of PetroChina, which has a monopoly on pipeline-imported natural gas into the Chinese mainland.